Beyoncé shunned a glitzy afterparty for her Dublin concert at the weekend, with her entourage reportedly saying she "doesn't go out much" now she is a parent. 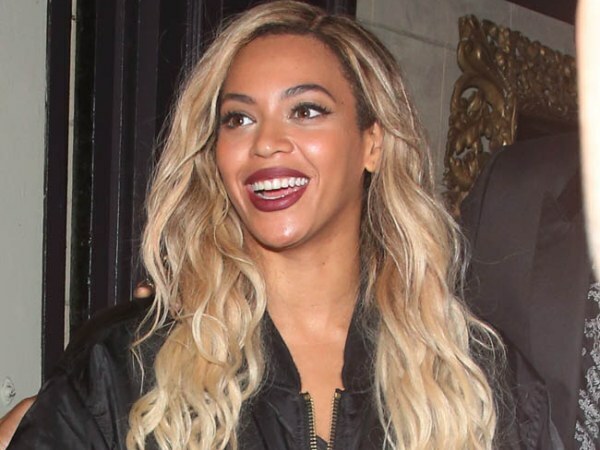 Beyoncé "doesn't really go out" since becoming a mother. The 32-year-old singer shunned a glitzy afterparty at The Wright Venue in Swords following her show in Dublin, Ireland, last week Saturday to return to her penthouse suite at the Fitzwilliam Hotel with husband Jay Z and their daughter Blue Ivy (2). Insiders say it is usual for her to leave the post-concert to celebrate with her crew, management, dancers and backing singers The Mamas. A source told Ireland's Evening Herald newspaper: "Beyoncé’s manager said that she doesn't really go out anymore because she is a mum now. They released 200 balloons into the crowd and were pouring vodka shots for people. A singer from The Mamas was also up performing her own songs so it was a great night." During a day off from her Irish shows yesterday, Beyoncé and Jay Z took their daughter to Dublin's Phoenix Park, where they went virtually undetected by other families as they spent half an hour in the playground of the park's visitors centre. The couple, along with their security team, then enjoyed dinner at fashionable eatery Coppinger Row. And it seems the pair have been enjoying the culinary delights of the city, following the Drunk in Love hitmaker's show last week Sunday .The "extremely humble" couple dined at upmarket eatery Fade Street Social, which opened late just for them. Beyoncé dined on pumpkin flatbreads garnished with fresh rosemary, parmesan, onion purée, sliced chestnut and fried mushroom, while her spouse had a classic strip steak and chips. A spokesperson for the restaurant said the couple arrived at 11pm. The representative said: "Usually the kitchen is closing around then but we held on for a few minutes to accommodate them. They were extremely nice and friendly and left very happy."